These days cheap China PCB circuits with knobs are sold as LED Dimmer, Voltage Regulator, Motor Speed Controller. Here is DC Motor Speed Controller (PWM) buying guide for understanding. If you do not understand what is PWM – that is Pulse-width Modulation, you need to watch our Arduino guide for DC motor control which has a video. In that video, we had way to input 0 to 255 values to control the voltage. These DC motor speed controllers does the same job via a dedicated PCB with potentiometer (not rotary encoder). Although both works in the same logic, there is heaven and hell difference as the current (in Ampere) can be so low in 1.8V – 12V variant that a 3V DC motor will fail to start. DC motor speed controllers has a duty cycle fully adjustable from 0%-100% with efficiency of around 99%. Usually they are designed to give a continuous current up to a limit to load. The number with the titles of products is usually input range, output range can be double of it. Usually these circuits have way to add a cartridge fuse, has a way to add off-on switch and a reverse switch. We talked about various types of switches. Obviously there is an input and output terminal. Not always all features available on PCB are added as components – which partially determines the cost. 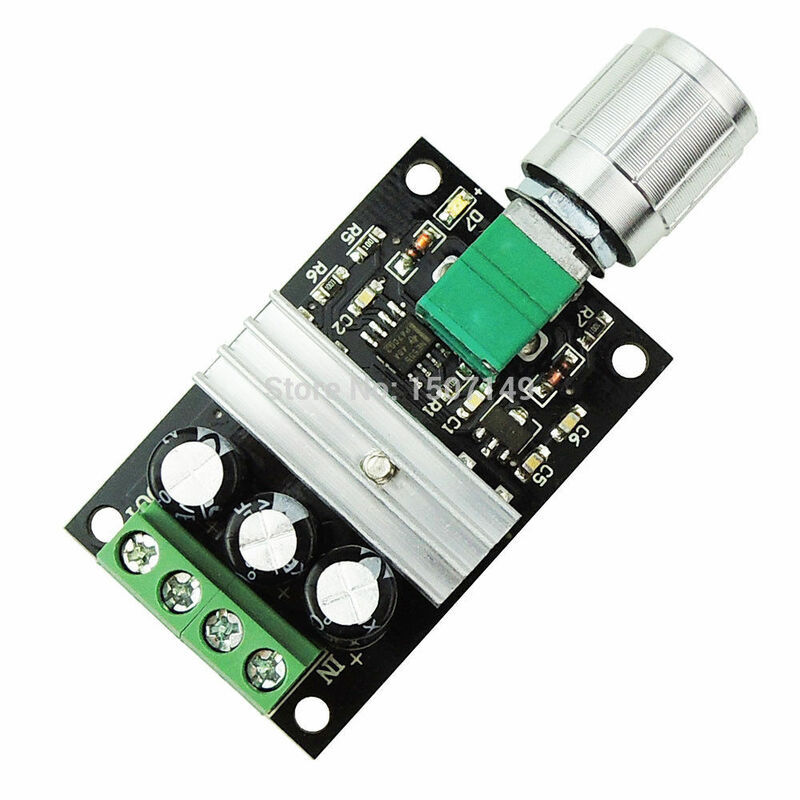 Can We Use DC Motor Speed Controller For Voltage Regulation, Dimming Light Etc? You should understand what is PWM. The normal voltage is like analogue. PWM is AC like, digital pulse. As for using them as voltage regulator, you will need a digital to analog converter to get proper dc voltage output with constant ampere. You can straightforwardly use them for controlling LED, incandescent bulb etceteras, even in your car. Ordinary DC Motor has no huge difference with an incandescent bulb from running setup point of view. This Article Has Been Shared 8485 Times! Photoduino Is A Shield And A Software Library To Setup Arduino Based DSLR Camera Controller. There Is Also Schematics To Develop It Yourself. This Is Not Another Article On Breadboard Wiring Rules. Here Are Some Extreme Breadboard Wiring Rules & Useful Hacks To Make The Things Easy. Cite this article as: Abhishek Ghosh, "DC Motor Speed Controller (PWM) Buying Guide," in The Customize Windows, August 7, 2017, April 26, 2019, https://thecustomizewindows.com/2017/08/dc-motor-speed-controller-pwm-buying-guide/.